Butterflies are found all over the world and in all types of environments: hot and cold, dry and moist, at sea level and high in the mountains. 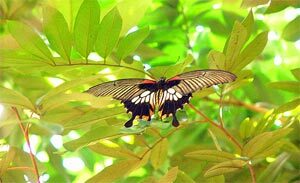 Most butterfly species, however, are found in tropical areas, especially tropical rainforests. The lowland butterfly fauna in Vietnam is more diversified whereas the mountain fauna is more specific and contains more endemic taxa. The lowland areas have significantly higher levels of species richness (51–86%) as compared to the mountainous areas (25–66%). The aspect of the fauna shows a well-developed seasonality, with higher species diversity during the dry period and in the transitional period between the dry and rainy seasons. The butterfly fauna of Vietnam should be regarded not as a transitional one between the faunas of the Holarctic and Indo-Malayan Regions, but as one of the principal faunas of the Indo-Malayan Region, constituting the core of the Indo-Burmese fauna and including representatives of the neighboring faunistic centers. 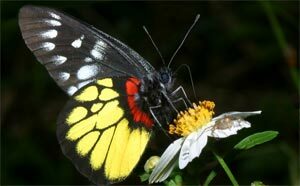 In the heart of the Tam Dao National Park in Vietnam resides a myriad of butterfly species. These insects are beautiful, graceful and an indicator species. As an indicator species, the health of their population is a good gage for how healthy the rest of the ecosystem is. For example, if the number of butterflies increases, then the health of the ecosystem is most likely also improving. However, if the number of butterflies decreases, then this is a sign that the ecosystem is in trouble. Butterflies, it turns out, tell a lot about the health of a forest. 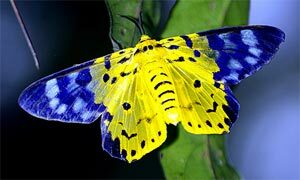 These decorative insects are rarely given credit for anything other than adornment - but in recent years scientists have begun to understand just how important they really are. When butterfly populations begin to dwindle, it is a warning sign that something in the forest isn't quite right. A healthy forest means cleaner air for humans - not only humans that live in the same region but anywhere in the world. Vietnam has struggled with conservation but in recent years has shown interest in restoring her forests to natural conditions. Forest restoration takes a long time and a lot of work. It would be impossible if only one person were doing it alone.